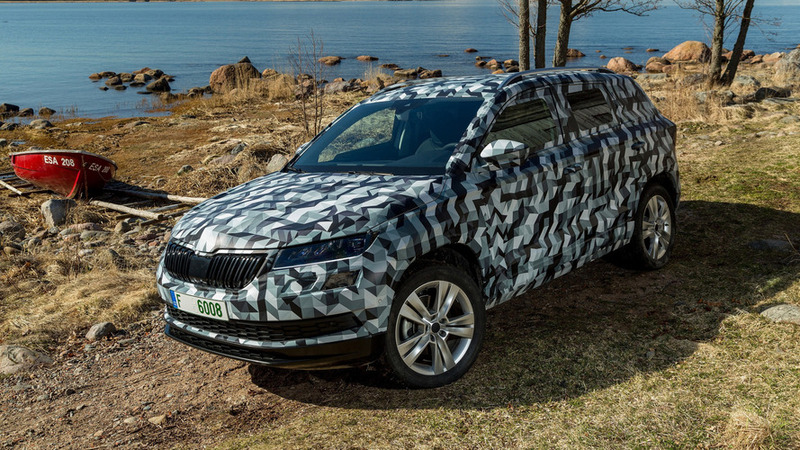 After a painstakingly long teaser campaign, Skoda is finally ready to show off the all-new Karoq compact crossover serving as a replacement for the aging, yet still desirable Yeti. Not only has the name changed, but the new model adopts an entirely new design heavily influenced by the larger Kodiaq. While at a first glance it may look like a downsized version of the company’s first true SUV, its smaller brother does have its own identity once you look closer. The biggest modifications are noticeable in the design of the headlights and taillights, which although are still reminiscent of the Kodiaq, the clusters now have a somewhat different shape and the LED light signature is also new. A sister model of the Volkswagen Tiguan and SEAT Ateca, the Karoq is 4,382 millimeters (172.5 inches) long, 1,841 mm (72.4 inches) wide, 1,605 mm (63.2 inches) tall, and with a generous wheelbase stretching at 2,638 mm (104 inches). Skodas are known for providing great trunk capacity and the new compact crossover is no exception as it can hold up to 521 liters (18.4 cubic feet) of cargo with the rear seats in place or 1,630 liters (57.5 cu. ft.) after folding them down. Should you need even more space to carry items, the three independent rear seats can actually be removed entirely to give the Karoq a maximum load capacity of a whopping 1,810 liters (64 cu. ft.) — prompting Skoda to call it a van. The modular rear seats are part of the VarioFlex system, which fans of the brand will remember from the defunct Roomster. 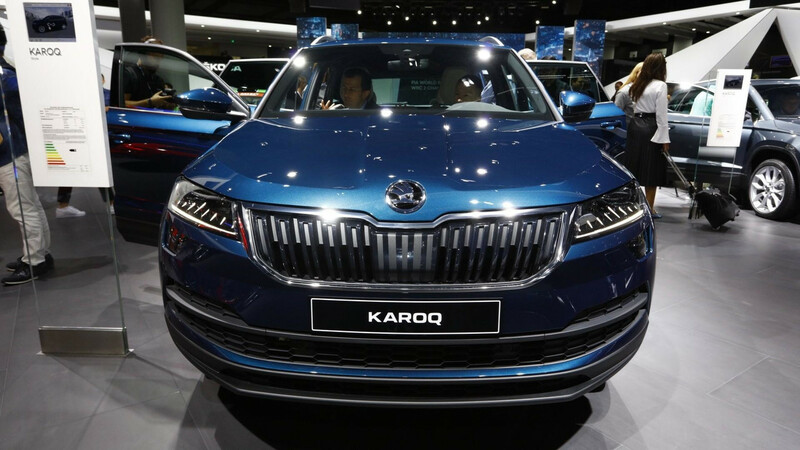 A first for the Czech marque, the Karoq can be optionally equipped with an all-digital instrument cluster replacing the analog dials and providing the driver with multiple customization options. 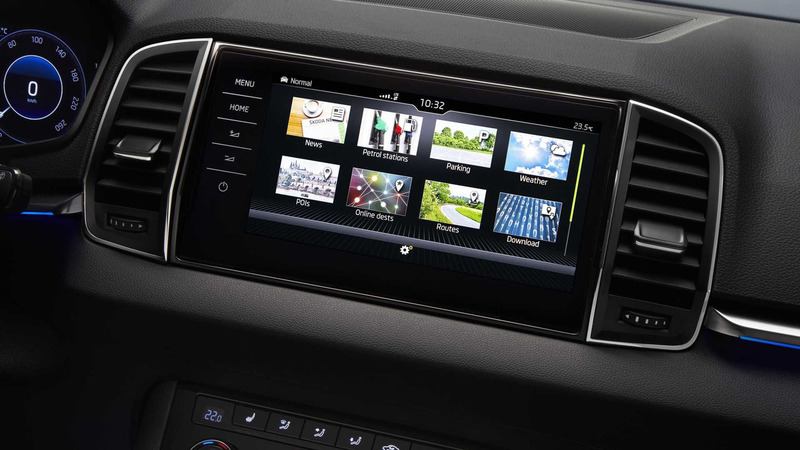 Also on the tech side, buyers can spend more and get the crossover with niceties like full-LED headlights, wireless smartphone charging, electric tailgate, 10-color LED ambient lighting, Wi-Fi hotspot, and even an LTE module for the top-of-the-range infotainment system. In regards to the oily bits, the engines and gearboxes are all familiar considering these have been carried over from the Tiguan and Ateca, but with a twist. We’re talking about the group’s new 150-hp 1.5-liter TSI Evo that made its debut in the facelifted Golf with cylinder deactivation tech. The other gasoline engine offered is the tiny 115-hp 1.0-liter, while on the diesel side are the popular 1.6- and 2.0-liter TDI units. Depending on engine selection, a six-speed manual gearbox and a seven-speed DSG will be offered. It goes without saying the more expensive versions of the range will be available with an all-wheel-drive layout whereas the lesser ones will be stuck with a FWD setup. 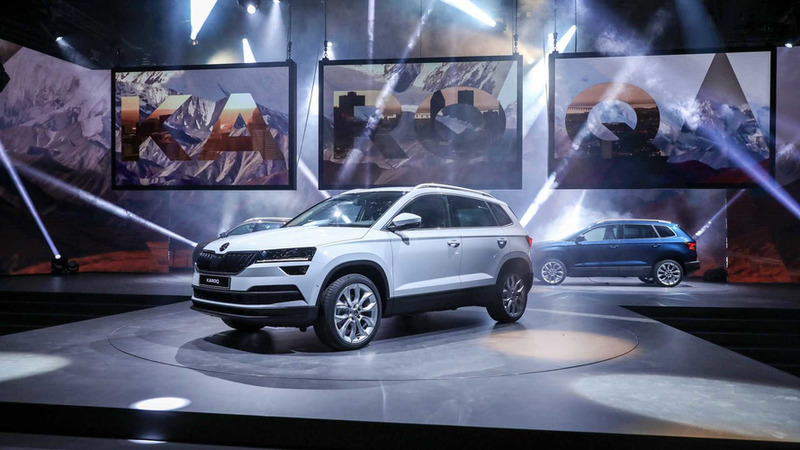 Skoda has announced it will have the Karoq on sale in the second half of 2017 and has made the promise to expand its portfolio in the coming years. Unsurprisingly, the focus will be on crossovers, so don't be too surprised if the Karoq will get a Fabia-related baby brother to serve as the brand's first-ever subcompact crossover.